Sadly, LinkedIn’s grandmother isn’t nearly as wise. 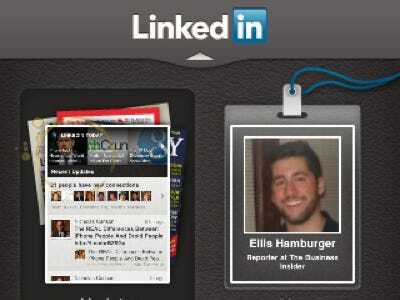 Although LinkedIn has substantially improved the looks of its iPhone app–the previous iteration was clunky and uncooperative–it is no easier to connect to new people. One day, I hope to be able to sync my LinkedIn app with a new friend’s app so we don’t have to go through the ordeal of swapping business cards and then, at a later date, uploading them into a contact management system. Like Linked In. Blackberry has this functionality with its BBM feature. You can scan a new friend by scanning a Blackberry generated PIN barcode. Voila! The friend is added to the BBM system. I can foresee LI developing this kind of feature. For right now, LI’s iphone app looks great–the updates, inbox, my profile, groups and more all load up well and are easy to use. But with this one additional feature–which is, isn’t it, the whole point of LI?–the new LI app would be perfect.